We remodel a lot of kitchens. It’s no wonder; few rooms have to handle such heavy lifting. So much of day to day family life takes place in the kitchen, which means it needs to be up to the task! 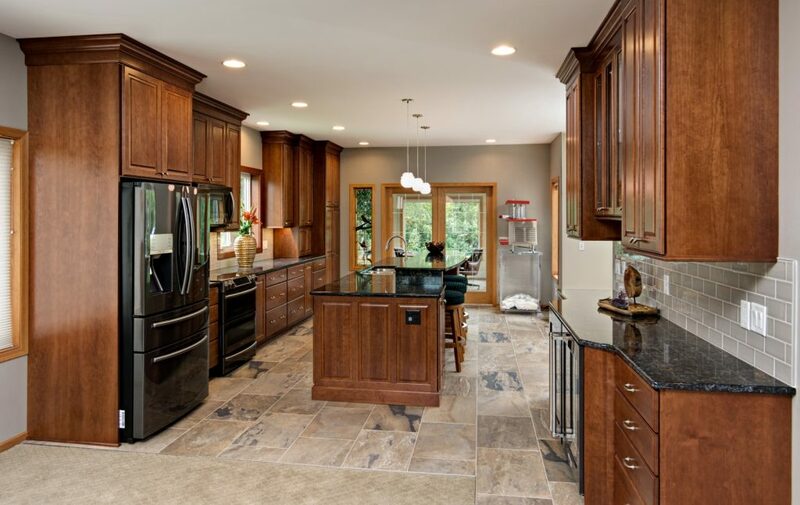 Often one of the greatest hindrances to creating a calm kitchen is a lack of organization. 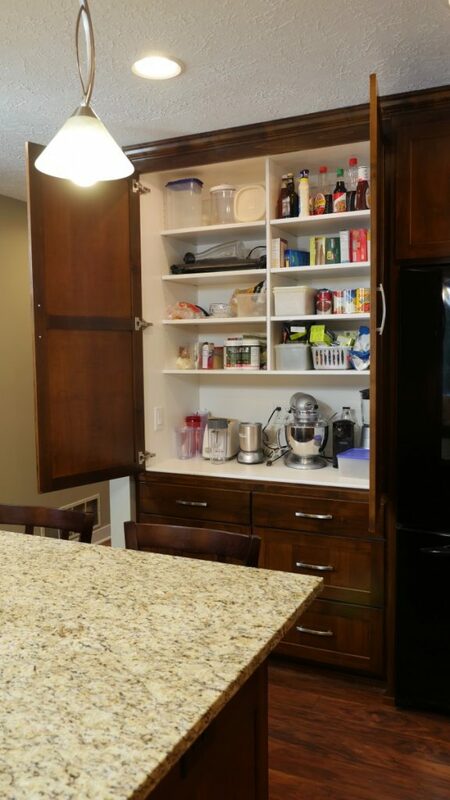 An inefficient layout or mismanaged storage can limit even the most visually appealing kitchen. Want to know our opinions on the best kitchen storage solutions available? 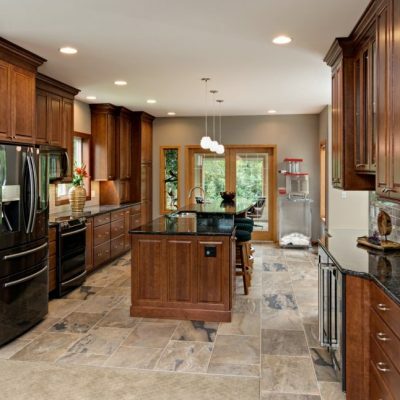 Take a look below to see the features we recommend most to our remodeling clients. 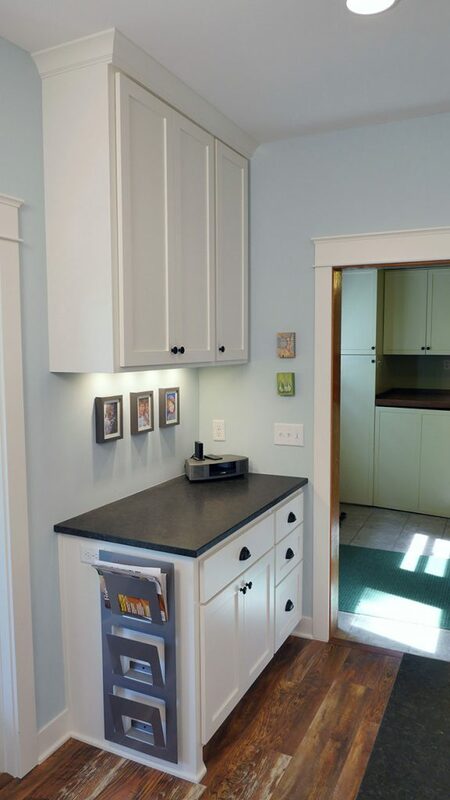 Countertop real estate is a precious commodity, especially in a smaller kitchen! Keep things open and clean with an accessible garage for frequently used appliances. One upgrade we’ll never tire of is an oversized center island. Well-designed islands are kitchen MVPs; they serve as the perfect spot for food prep, buffets, hosting, and gathering. From spices to baking sheets to specialized tools, serious bakers have a lot of accessories. If you’re a passionate baker, then why not create a kitchen that’s up to the task? These stylish mini fridges keep showing up in our client’s homes, and we love them! 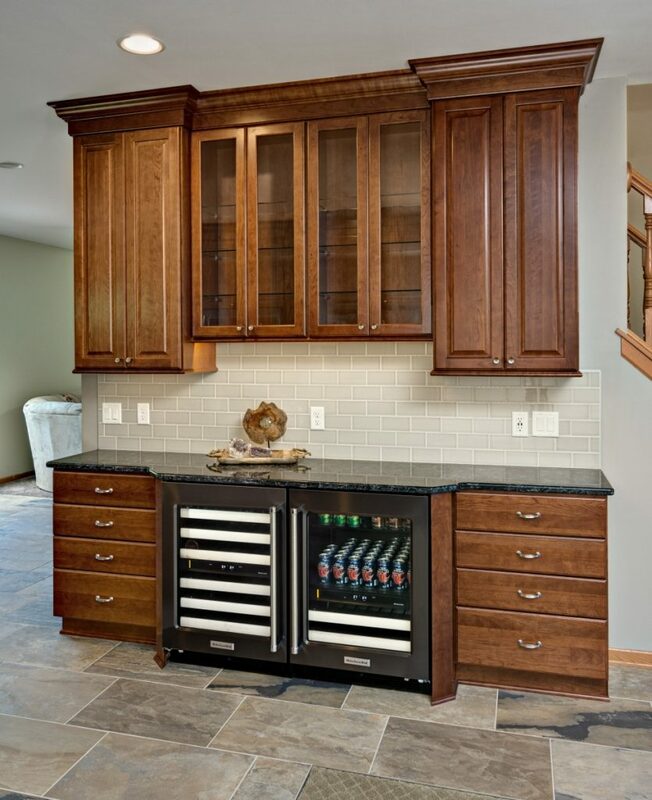 Whether in a built-in bar or as an extra feature for a family on-the-go, these little fridges are a great idea. If you share your home with one or more furry friends, you might consider adding a spot for them in your kitchen. After all, your dog or cat eats there each day too, right? A lot of papers, mail, and electronic devices seem to end up in the kitchen. Instead of fighting the clutter, we prefer building desk command centers to keep everything in order. Last but not least, many of us store a hefty stash of cleaning supplies in our kitchens. There are so many ingenious under the sink and pull out shelf storage solutions available these days.